The courses provide an introduction to their areas of ballistics science and are aimed at managers, engineers, scientists, practitioners, students or experts from other fields. The planned duration of the courses is half a day so there are two parallel sessions on Monday morning, September 11, i.e., EB101 alongside VS101, and in the afternoon, i.e., DE101 alongside TB101. Each attendee will receive presentation slides and / or a handbook on the course material. The tutorials are not in conflict with the conference sessions because the first session happens on Tuesday morning. The courses are briefly described below. If any other information is needed do not hesitate contacting the Education Committee Chair Dr. Markus Graswald or ISB Co-Chairs. Dr. Uwe Chalupka is employed as a Research Associate at the Chair of Measurement and Information Technology at the Helmut-Schmidt-University/University of the Federal Armed Forces Hamburg. From 2001 to 2006 he studied Media Engineering at the University of Applied Sciences in Leipzig and gained the doctoral degree in engineering at the Helmut-Schmidt-University/University of the Federal Armed Forces Hamburg in 2014 with the topic ‘A laser and computer based method for photogrammetric measurement of projectile trajectories’. Since 2006 he participated at the NATO Armaments Shareable (Fire Control) Software Suite programme in the field of software testing. In parallel he was working on various national projects within the context of exterior ballistics during the years. Uwe Chalupka has more than ten years of experiences in teaching, giving lectures and exercises in Computer Science, Ballistics, Measurement Engineering, Engineering Mechanics and Parallel Programming. Dr. Ronald E. Brown is an Adjunct Research Professor in the Mechanical Sciences and Engineering Department, University of Illinois, Urbana, IL. This post follows professorships at the Naval Postgraduate School, Monterey, CA and at the Helmut Schmidt University (of the German Armed Forces) in Hamburg, Germany. His professional career includes Director of Mine Countermeasures Research at BAE Systems and Vice President of Titan Corporation, during which he contributed to the development of several explosive products and improved products including shaped charge warheads for the several defense systems and patented charges for a wide-area mine clearer and humanitarian neutralization devices. 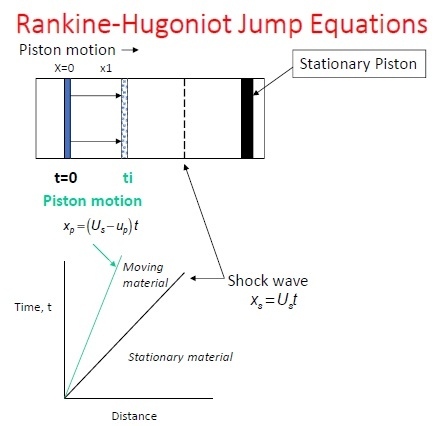 Academic instruction and research include shock mechanics, explosive detonation, effects of reactive materials during hypervelocity impact, explosive ordnance neutralization, shaped charge jetting phenomenology, hydrodynamic flow stability, and finite difference techniques. Dr. Brown’s current interests are in the effects of supra-pressure initiation and detonation of explosives. Dr. Ian Crouch is an armour consultant with Armour Solutions Pty Ltd, Australia, who has worked within the international armour community for over 35 years, both in the UK, at the Defence Research Agency (now DSTL), and within leading defence organisations in Australia. He is currently an Adjunct Professor at RMIT University in Melbourne. From 2008 to 2013 he headed the Armour Technologies division at Australian Defence Apparel, responsible for the design, development and production of body armour components especially those for the ADF and various armed services around the world. He has just published, through Elsevier, a comprehensive work entitled "The Science of Armour Materials", as editor and lead author, in which he states that the design and application of armour materials is not a codified branch of engineering, but a science in its own right - a science based around the high strain rate properties of materials, penetration mechanics and localised deformation behaviour. Since 2003 Mr. Heinrich Dorsch is the head of the department for vulnerability and lethality at IABG in Ottobrunn / Munich, Germany. After finishing his diploma in mathematics at TH Darmstadt in 1979, he joined IABG as a systems analyst. For more than 37 years, he is responsible for the development of vulnerability/lethality simulation tools for all kind of weapons and targets, especially the accredited German standard code UniVeMo. He contributed to various international symposia and workshops related to V/L like the European Survivability Workshop (ESW), NATO RTO & NIAG Study and Working Groups, International Symposia on Ballistics (ISB), International Conference on Urban Operations, ISIEMS, and MABS. Since 2004, he regularly teaches this subject in conjunction with the target and weapon planning process for the German Armed Forces Bundeswehr.